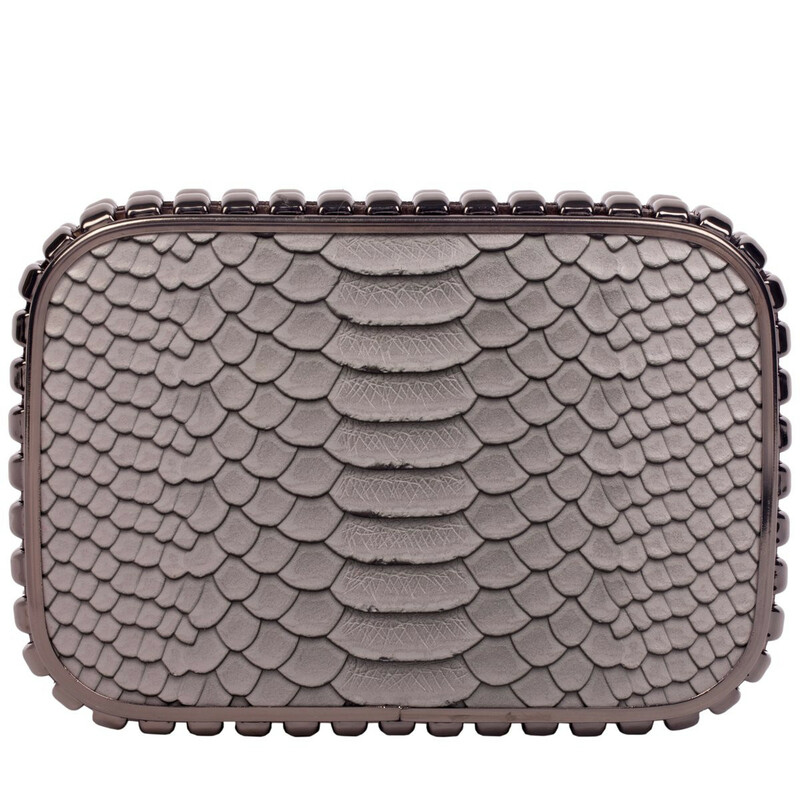 Give 'em something to stare at with this bang on trend hard cased clutch bag. 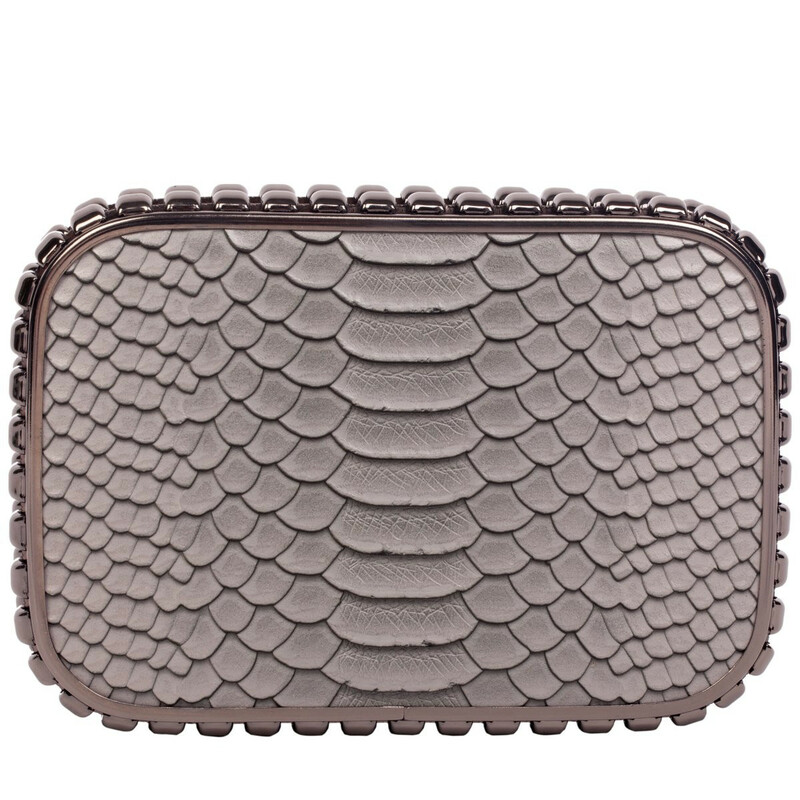 The Dazzle clutch, crafted with an embossed sassy snake skin effect, will allow you to release your inner wild side, while still serving class. 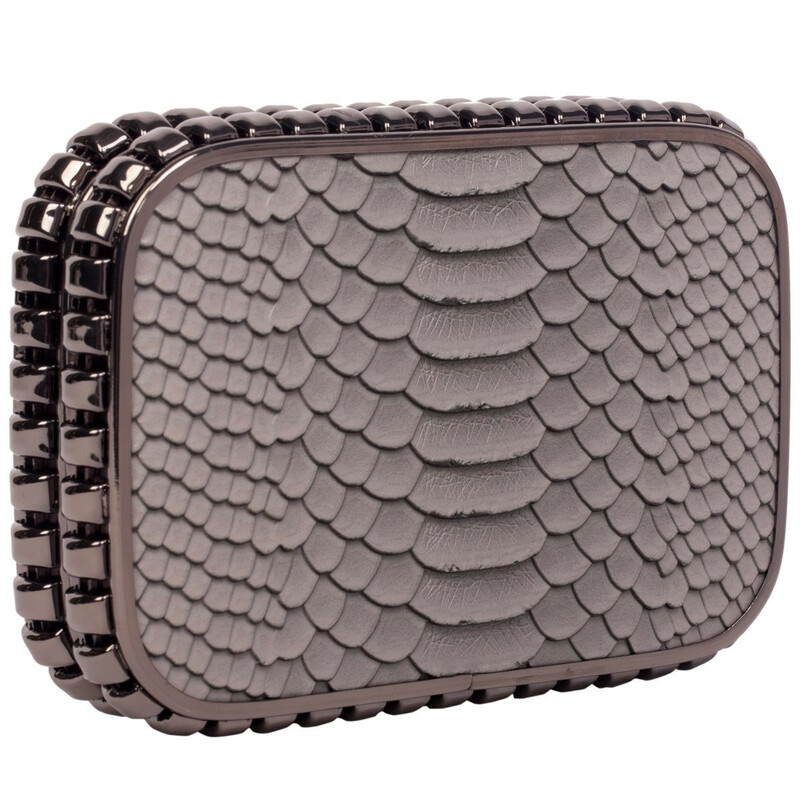 The jewel detail frame will really add that finishing touch of glam to your outfit, with the option of a detachable chain strap making it super adaptable to slay any look.